The Danbury Lie are still going strong and weird. On their newest release "Fourth Time's a Charm" they continue down the awkward and creepy path they began paving early 2012. "The Second Renaissance (parts I & II)" starts off with a jangly dark instrumental and then goes into a muted and foreboding area, like a classic Modest Mouse song. 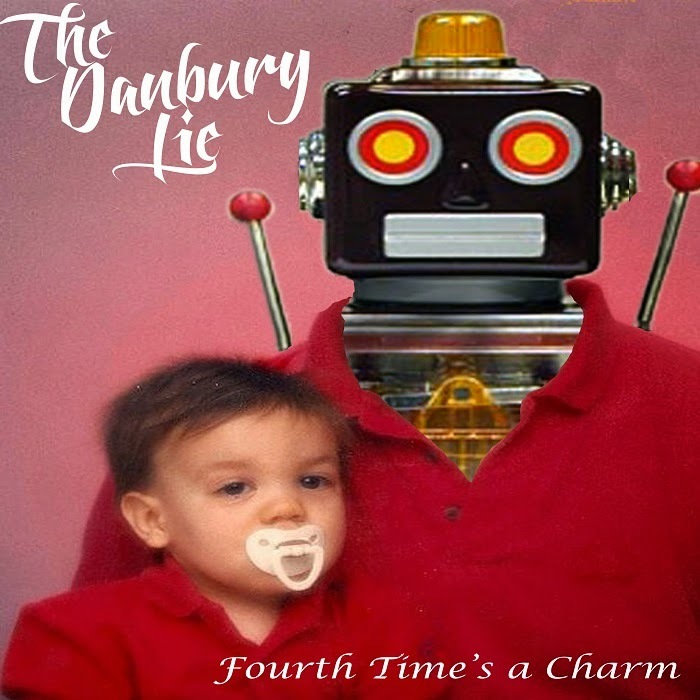 The Danbury Lie sound sure of themselves, of their energies and intentions. They also still sound like an artists force shrouded in mystery. They get a little more aggressive on "Drinking Song" with some fuzz and shouting and while it sounds like an attempt to do something a little more easily acceptable it works for them, with energy harkening back a few decades. "Memorial Day" is more subdued and swampy. Relaxing and pleasant but still super eerie, and very memorable. "The Second Renaissance (Part III)" is another complex instrumental, perfect for a band of this type to explore some of the more unconventional musical stylings they have. A perfect place to go from soft and simple to dark, fierce and brooding. "Derek Baily Was Right" is a folksy pop cover song that definitely fits well with these other songs. "Decay" is another swampy dark song like "Memorial Day". Moody, muted and introspective. It, like other songs on this release, crescendo's to an urgent peak before exploding. Closing out the set is "The Second Renaissance (Parts IV and V)" which takes the previous pieces to their logical musical conclusion. A jangly and gentle intro that builds into a fuzz pop piece ripe with harmoniously riffing guitars. All told, a satisfying close to this super solid effort from a band that is becoming one of CT's mainstays of weird pop.